The past week has been hard to characterise, so I haven’t been writing much other than the interlude. That was something that wrote itself in my head. At times like this, I simply let the words out, and edit them into a semblance of something that doesn’t make a grammar nazi scream and splash their computer screens with red ink. I’m somehow not proud of that particular piece of writing. It cuts too close to the bone. Saturday was a good day. 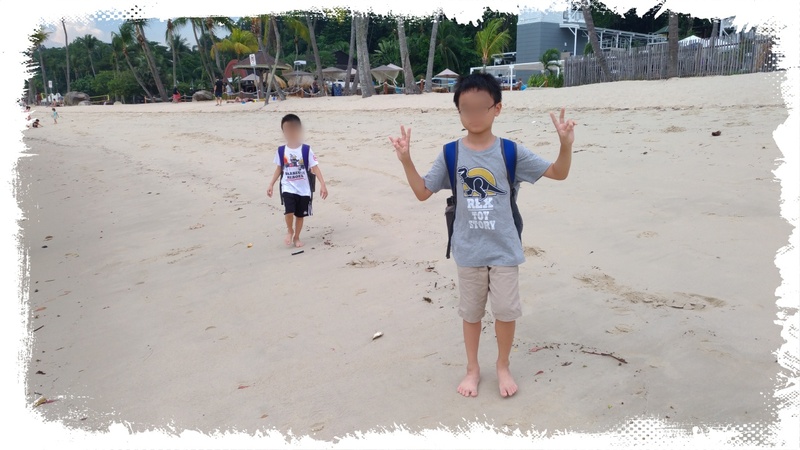 The boys did their allotted revision, and we went to Harbourfront and walked to Sentosa. The sun was really hot, and walking under the scorching heat felt good on my skin. 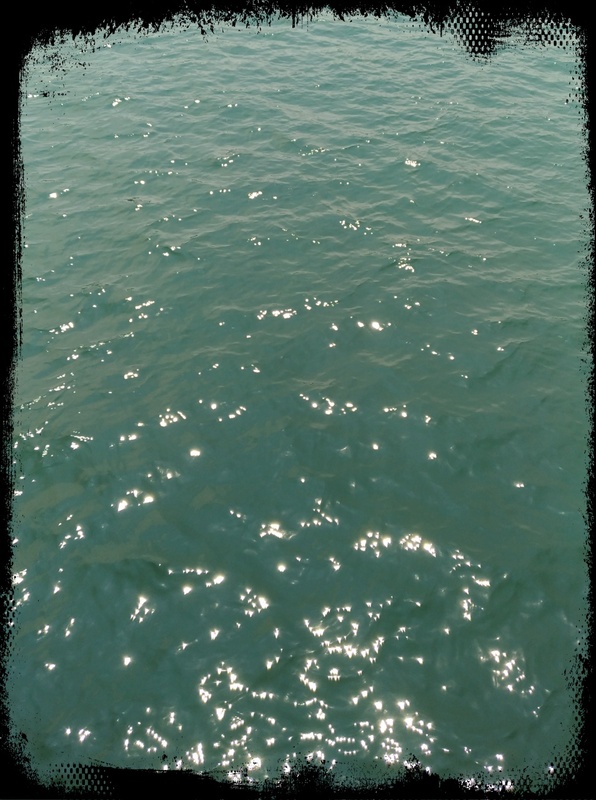 I was mesmerized by the glittering waves. Somehow that made me feel more complete. The cable car took us near Fort Siloso, and we had ice cream before we walked slowly back via the beach. I answered the kids’ questions patiently, and it felt good to just be myself. For a while, I even entertained the thought that I might be able to start work soon if this continued. On the way out of Sentosa, on the monorail though, I had to request for quiet from the younger boy so that I could rest. The day continued well into the night, with the guinea pigs showing their excitement and enjoyment to be allowed their floor time. The next day was Sunday, and I’d not been to church for 2 weeks running. I was adamant that I should go. I hadn’t slept well though as I’d been coughing through the night. But I’d felt so good the day before. I prayed, and decided to push for it. It was not a wise move. It was an all-age service, which meant that the children were worshipping together with the adults. The music was necessarily more upbeat, and there was more interaction with the children. I had to leave the service halfway, and walked to a nearby coffee shop to have breakfast instead. After breakfast, I walked back to church, to help clean up the cry room after it had been used. We ran into one of our doctor friends, E, who’d been helping to do the same, and she asked after us. While chatting about our condition, another old friend whom I don’t see often dropped by, and I lost control of my emotions and cried. As I was feeling tired, we went home after lunch. I managed to hold myself together most of the time, but there was a strong sense of wrongness and disconnect. The boys were their usual self, which meant it was difficult for me to connect to them, or to react to their goofiness or habits. I had to refrain from screaming at them on more than one occasion and finally I had to tell my wife that I needed to hide away from them as I was simply struggling to keep myself sane. It didn’t help. After the boys had gone to bed, pet therapy helped to some extent, but after the pigs were back in the cage, my wife and I were discussing something about my anger and the way I handled it. This stemmed from my need to remind myself to tell the boys when I was better, that it wasn’t their fault that I reacted this way. Somehow, something in that conversation started off the spin in my head and before I knew it, I was having a full blown episode again. I can’t explain or even begin to describe the maelstrom in my head. Part of me was screaming at the other part. I wanted to end my life, and I didn’t know how, but I knew that allowing myself to think of it was wrong, as it went against my promise to God and to my family. I intended to keep my promise. I hunched over in my struggle with myself. My palms still hurt from where my nails dug in as I clenched my fists. By God’s grace, I’d cut my nails just that morning, or it’d have been worse. I didn’t even feel the pain as I clenched my fists shut. I remember panting and breathing really hard. I remember my wife trying to hold on to me, touching off a greater panic as the part that really wanted to kill myself struggled against her. I remember bits and pieces that don’t make sense. I remember praying as if ticking off a checklist for self protection, and then finding that the whirlwind hadn’t stopped blowing any less. I remember forcing myself to sit up because my back hurt and I remember the struggle as one part of me kept repeating “I must not kill myself. Nothing else matters.” while the other part kept repeating “I am worthless, I am a horrible person, and I should die. There is no sense living.” At one point, I know the other part was trying to evaluate ways to run out of the house, away from my wife’s watchful eyes. My wife had wisely refused to leave my side, even as she was trying to get into my head to tell me to stop giving up on myself. But I was shutting her out because I was simply trying to silence the part that wanted me to do something, like running into the room and locking the door. That same part intelligently pointed out that the option was kind of silly because I couldn’t leave the house that way, and the room wasn’t exactly full of items I could harm myself with. My fear of blood means cutting or bleeding isn’t my preferred way of self-harm. Along the way, I had asked for my phone in monosyllables. I could not speak much because of the whole body being locked up, and I typed instead, screaming for help via the phone. My wife and our best friend tried their best to talk me into sensibility and after a while, I let the phone slip out of my hands. Nothing was working. I was stuck in my own head. Fortunately, something made me bite out the words “Call E.” E is the doctor friend I referred to earlier, whom we’d met that morning in church, who’d prayed for us, who’d told us to let her know if we need help. I needed help. My wife decided to listen to me, bless her heart. It gave my sane side the impetus that it needed to take control. When I knew E was on the way, the part of me that was threatening self harm gave up. Without help on the way, my wife could not handle me alone. With help on the way, there was no point fighting to harm myself anymore. When my wife asked me to go change so that I could be brought to IMH again, I shook my head. And my release came. The release almost broke me. I don’t remember much, but I know I sobbed and wailed and clawed at myself. My paroxysms of tears brought me from sitting to lying down, twisted my body in different directions. My wife could only look on helplessly, but with relief. I think I fell asleep halfway through my sobs. I know that when I regained my senses, I was half leaning against the sofa, half lying on the floor, able to move more freely, but still sobbing. I don’t know how long I stayed there. My wife asked me to change again, and asked me to let myself be admitted to IMH. I knew her concerns, but that side of me had been silenced. I refused. I lay there, with a cushion under my head, sobbing occasionally while she quickly tended to household chores that desperately needed to be attended to, while waiting for E’s arrival. E arrived along with her husband A, and she immediately offered to bring me to IMH to be checked. I refused again, and she was unconvinced at first, but I reassured her that I’d won the fight. I don’t know how I appeared at that moment, in my home clothes and my cried out face, but I didn’t care, and I still don’t. I needed to live. In the end, I asked E and A for help to guide me back to the room. My wife is considered petite next to me, and there was no way she could help me. E and A kindly did so, and then prayed over me as I sobbed more tears into my pillow. I was safe. I know I asked E “Why must it be so painful?” Her reply is the classic and correct one – it just is. But it’ll get better. I’ll recover at some point. I’m still recovering from the muscular lockup that my body went through, and I’m exhausted and still prone to tears even as I type this, and relive what happened. But I’m alive, and I won yet another fight, with God’s grace. It’s almost surreal. One day so good, and the next, it’s all I can do to keep my muscles locked so that I won’t do anything to myself, speech coming haltingly and in monosyllables because of the effort needed to squeeze the words past locked up vocal chords. I don’t know how I knew to ask my wife to call E, and I don’t know how I knew that help would force my release and be my immediate salvation. I know my wife felt useless and helpless, even jealous of the pigs and perhaps E and A, as I reached out to them in my moment of absolute darkness. She had no idea, and I declare here with tears brimming that it was love of her. I reached to the pets as a last resort, as a tool, as a mechanism to make myself better, even though I love the pigs. I didn’t want to hurt her or use her to make myself better. And when I reached out to E, and A, it was a move of desperation to force myself out of my mental deadlock, one that my wife could not remove because I did not want to envelop her in the maelstrom that I was in. The struggle was in my head, and even when I was released, she had to stand aside only to watch as I writhed and wailed. This fight I had to fight alone, with the help of sufficient physical force on the way to give me the momentum to be able to crawl out of the storm. Once it was over, once I was in bed, I reached out to her, and to our friend in Malaysia, apologising. Not because I’m sick, of course, but because of the hurt and the helplessness I put them through when they see my pain and yet have to stand aside because I’m in a place that is hard to reach. Then I slept like a baby till morning. I know that I need to accept that there will be good days, and enjoy them without looking for the bad day to come. I know that I need to accept that there will be bad days, and they may go in ways I never would expect in my pain and delirium. I know, and I accept it, but I struggle not to feel like I’ve taken a huge step backwards because of one such episode. But this is the new reality, and I must take it in my stride. I’ll be talking to my wife about our emergency mechanisms from this point forward as well, so that she doesn’t feel helpless. We also should not discuss emotional stuff when I’m not in a good place. Not to avoid them, but to handle them when I’m on a good day, rather than on a bad. Other than that, I’ll see my therapist next week, and see where we go from there. I’m sorry to read that you went through a tough time recently. Praying for you and your wife, Hang in there, my brother-in-Christ…! !